Visual novels contain some true gems with fun gameplay, great art, music, and especially stories - and that’s where CiNG shone. 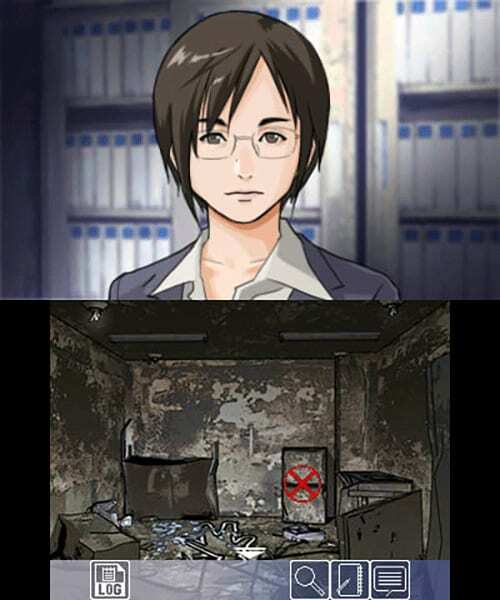 If you like a #game that tells a great story, you may have heard of a neo-noir mystery for the DS called Hotel Dusk: Room 215, published by #Nintendo and designed by a small Japanese studio called CiNG. Or maybe you haven't. 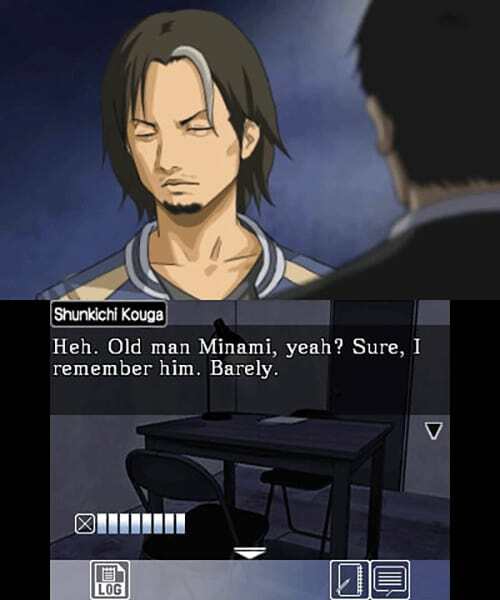 The title, and its Europe-localization-only sequel, Last Window: Midnight Promise, never caught on as big as Nintendo's other works - but they honestly deserved to for their stories alone. It's a mystery. You can tell by the greyscale-noir. We know 'visual novels' as adventure games, or point-and-click, and tend to think of them as the dreaded ‘casual.’ But the often-overlooked genre contains some true gems with fun gameplay, great art, music, and especially stories - and that’s where CiNG shone. Its star mysteries, and their predecessors, the semi-paranormal Another Code R and Trace Memory, were well-written and engaging, with intriguing plots and complex, realistic characters. But #CiNG hit hard times, and it was a sad day in 2010 when they closed their doors. 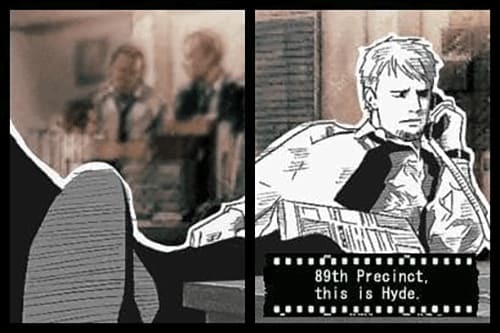 We thought we'd seen the last of their engrossing story-games, and their guarded, abrasive, snarky, tenacious, good-hearted, justice-seeking star, Kyle Hyde. Hello, new friends. And hello again. Last year, the team, including director Taisuke Kanasaki and Hotel Dusk/Last Window’s development staff, writers, artists and score composers, reunited to take another crack at the business and pick up the loose threads. They might be under the Arc System Works/Aksys Games banner now, but the CiNG band's very much back together, and they're not done yet. Good. Hello, Distant Memories. And Welcome Back. 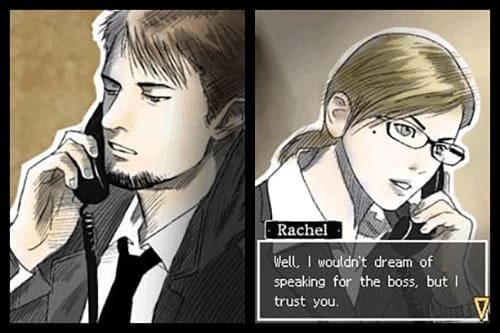 Fans wanted more Hotel Dusk, and Arc System Works delivered in September of 2016. And hopefully will keep delivering, since C:CCI is to be released in chapters instead of all at once, likely to test audience reception before continuing. It’s a different format, but familiar in all the important ways. The atmosphere, neo-noir #mystery, pacing, art direction (check the film-outline in the intro!) and jazzy soundtrack are exact Dusk/Window flavor. We even open the same way: a scruffy police detective - who looks really familiar - kicking back with his feet up on the desk, playing with a plot-significant cigarette lighter and waiting for the phone to ring. The new protag, Shounosuke Nanase, is basically Kyle's exact design with a palette-swap, and his colleague Koto Amekura gives off some major Rachel vibes - as does their slightly salty banter with a core of growing mutual respect. The biggest change is the setting and names. Pictured; Kyle and Rachel. They're not in Distant Memories. Exactly. But again, this is one case where that's actually appreciated. It's not lazy design or rehashing; it's intentional, deliberate, and red-neon obvious. These CiNG alumni are telling us in every way possible (without being sued by Nintendo) that yes, Kyle Hyde is back, and so are they. In spirit at least. 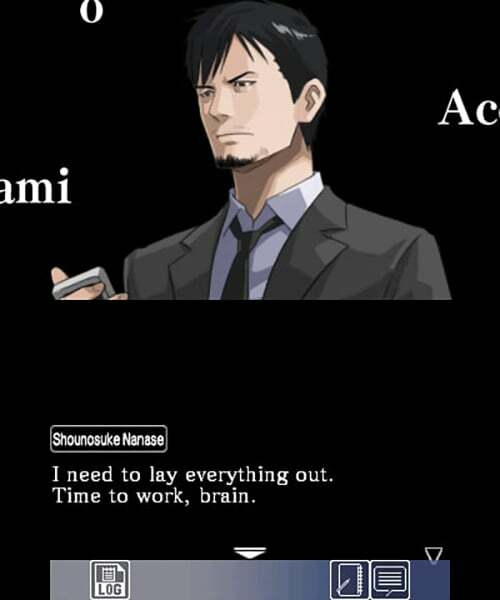 However, for all the callbacks, homages, and straight-up continuations of its predecessors, Chase: Cold Case Investigations has a pretty solid start of its own. Up-and-coming detective Koto Amekura has been assigned to partner with black-sheep investigator Nanase on the cold case department. He’s holed up in the basement and doesn’t really do much, since his turf isn't exactly a beehive of criminal activity. I share that hobby. And aw, Valentines Day birthday. When she's assigned to the Cold Case Unit (a garbage position, if you believe the station chatter), Koto doesn't expect excitement or fun - and for a while, she’s right. Her new partner makes for less-than-stellar company, and worse conversation. He's got a cool playing card motif and a smart mouth. I'd like him even if we hadn't 'met' before. There’s a phone, but it doesn’t ring much. When it does, it's usually wrong numbers, or bored teenagers giving them hell… until they get an actual tip. A 5-year-old closed case of an explosion in a hospital wasn't an accident at all. It was homicide. And like all good mysteries, the first puzzle seems to be only the very tip of a much bigger iceberg. The odd couple’s dynamic feels a lot like when Agent Scully met Fox "Spooky" Mulder. She's the level head, by-the-book and literal. And he's eccentric, driven, kind of antisocial, and doesn’t seem to give many craps about convention. He even has a long-lost girlfriend (or sister, like Mulder? It's a little hard to tell) whose disappearance seems to be the one case he could never solve. Standard detective premise, but CiNG's specialty was in characterization, interactions, and deeply interconnected plot threads. And this initial chapter is enough to show us they’ve got us covered. The first part, Distant Memories, is short. Like blow-through-it-in-a-couple-hours short. It might feel a little rushed and/or anticlimactic if you're expecting a full game. (Which it isn’t; some players seemed confused on that, resulting in a collective ‘that’s it?’ No, that’s not it. Thank goodness.) Especially compared to the layered storytelling, attention to detail, and gradually-building suspense of Hotel Dusk and Last Window. But that's the nature of the episodic fiction, and video games. Hopefully, if Chapter 1 does well, that should greenlight bigger installments as the project hits its stride. This is Shunkichi. No relation to Louis or Tony. The gameplay is simple, even minimalist. It’s almost entirely interaction-based, as you play the investigators questioning witnesses and suspects and trying to catch them in contradictions. You get a ‘health’ bar that goes down if you ask or answer incorrectly - think Phoenix Wright, but noir-ish drama instead of colorful fun. There’s a hidden-object sequence too, where you pick out clues from a crime-scene photograph. But aside from that, it’s really just grilling suspects, ferreting out their secrets, and connecting the dots. Nothing fancy, but it works just fine. Everyone knows we’re here for the mystery itself. Get your ducks in a row, so to speak? And without spoiling, I can tell you that this first case is indeed more complex than it appears, and foreshadows a much bigger web of intrigue at work. There’s even a few CiNG-trademarked emotional gut-punches - especially respectable since we’ve only just met the characters involved. We only get a taste in this first installment, but we’ve seen enough CiNG to know where this is going. This first chapter of Chase: Cold Case Investigations is just an appetizer. If the series is anything like its predecessors, the full multi-part course will be satisfying. We’re in for a smart, well-written, emotional ride led by some intriguing new friends - who feel like old friends we haven't seen in too long. We hope they're here to stay.